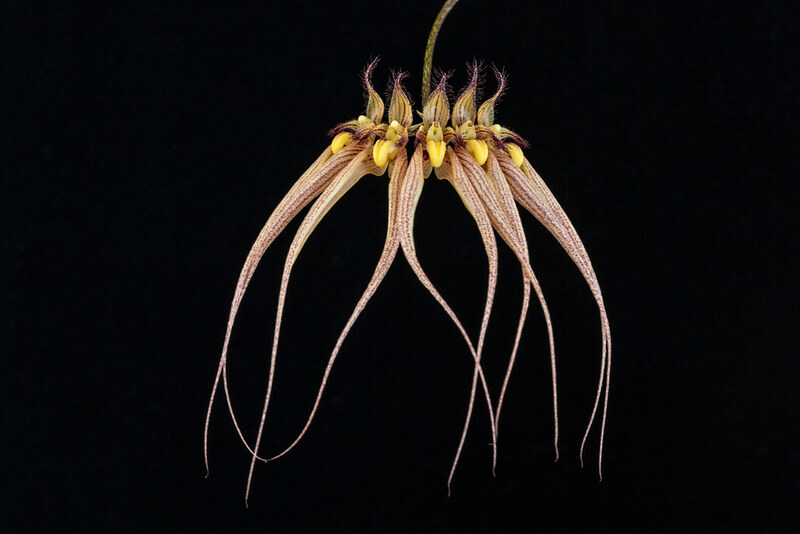 Bulbophyllum Louis Sander - Orchid Board - Most Complete Orchid Forum on the web ! I have this plant growing in a hanging 4-inch plastic basket with New Zealand Sphagnum Moss as the media. The plant is watered everyday. I'm a small backyard grower in a residential area overlooking Pearl Harbor. I barely have enough yard space to keep my orchids happy. Most of the photographs that I post on this Board are of plants that I raised and bloomed. My best friends are orchid people.